At first glance it is easy to see why the Gigaset SL400A has been the recipient of the prestigious iF design award – with each handset boasting an eye-catching, luxurious metal keypad and frame, and large 1.8” high-resolution TFT colour display, the SL400A Sextet is the epitome of a style when it comes to a set of modern home phones. Fully equipped with the latest features, and endorsed by Which? for sound quality and performance, Gigaset delivers a high-specification set of phones likely to impress. 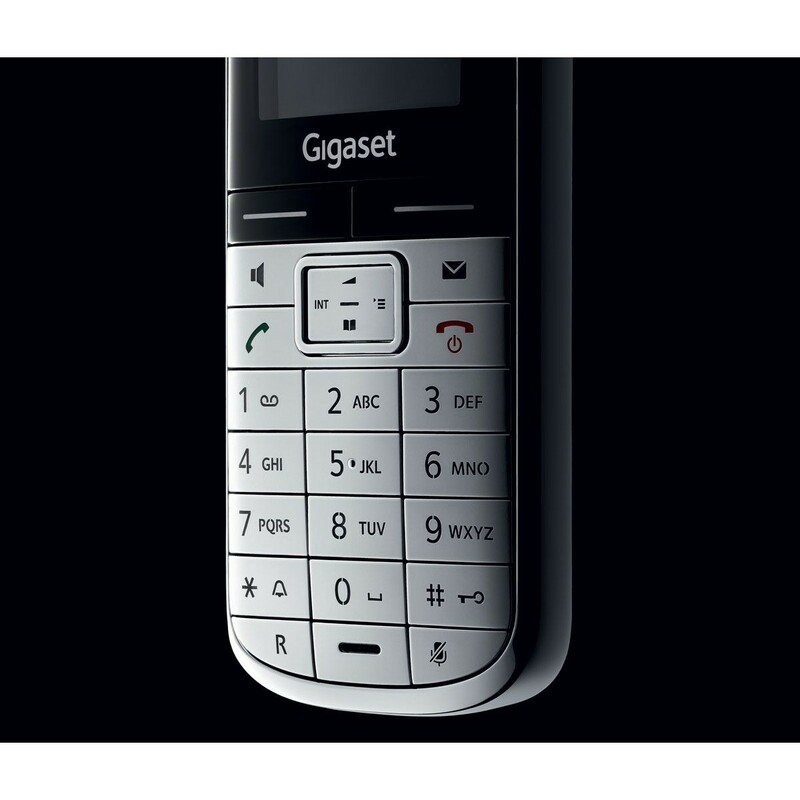 Conveniently synchronise contacts with Outlook using the USB port or via Bluetooth so you can easily transfer numbers to your Gigaset SL400A, which has a phonebook memory of up to 500 contacts (each with space for 3 numbers per entry). And with the facility to upload photos, you can personalise your contacts and see who is calling with picture Caller ID. Whilst the expert mode enables you to customise the menu to include the most regularly used features giving you easy access to the functions relied on most. Renowned for their crystal-clear sound clarity, which has continually seen Gigaset phones the first choice for discerning users and top the Which? Best Buy Guides, the SL400A is no exception. Featuring their pioneering HSP™ technology, the SL400A enables calls free from feedback echoes and interference, even when using the loudspeaker so you can always hear and be heard. Details on the last 50 missed calls are stored on the handset allowing you to call back and/or save new numbers to the phonebook. 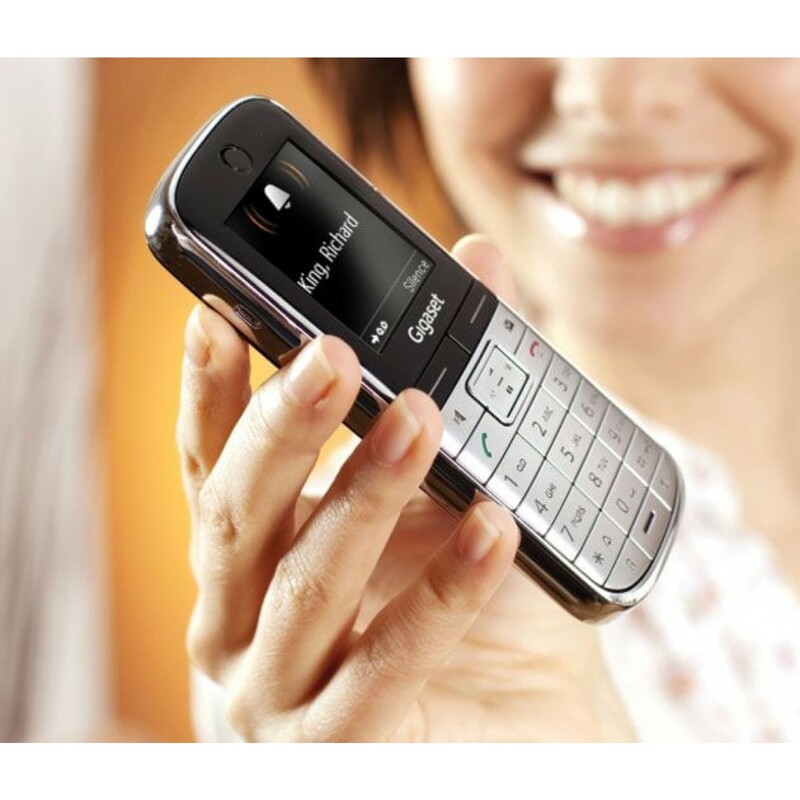 And the integrated answering machine provides a generous recording time for up to 45 minutes of messages. 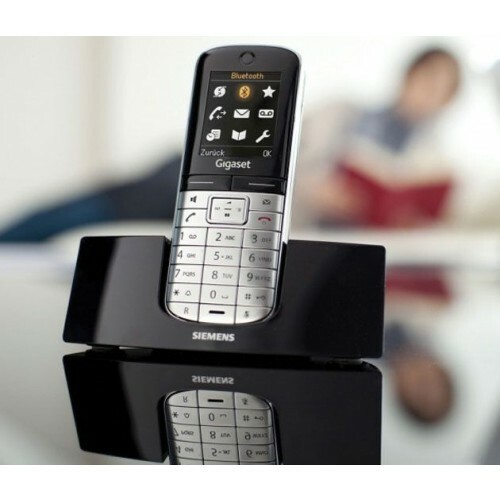 The advanced functionality of the answering machine includes an intuitive skip-back function so that you can easily replay the last few seconds of a message if you happen to miss an important detail. 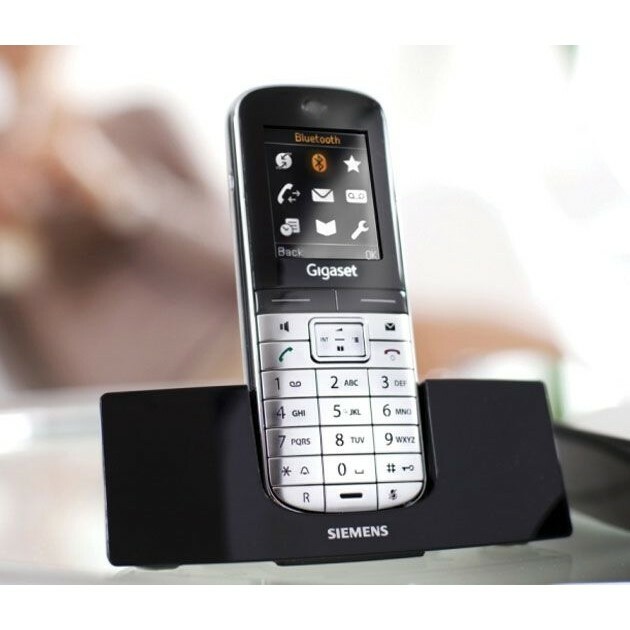 And if you are going to be out you can set up the SL400A to notify your mobile by SMS whenever a new message has been recorded; you can then dial in and listen to messages remotely so you can always be connected. The Gigaset SL400A Sextet are a high-spec, contemporary, and elegant set of DECT phones ideally suited for both home and office use; living up to its premium price by delivering premium quality and style. 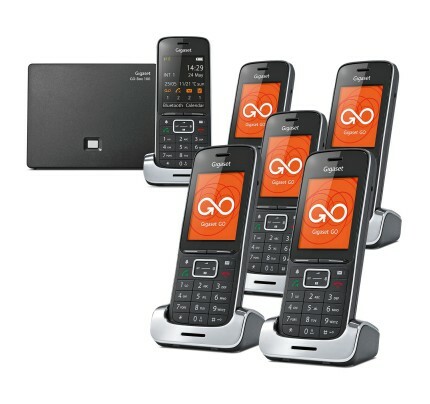 The first thing that i will say about the SL400 phones is that they are not cheap, after having numerous BT branded phones (that were of dubious quality) and a few Binatone phones(that were even worse) over the last few years i thought it was time to bite the bullet and splash out on what i can only describe as one of the best phones i have ever seen or used. 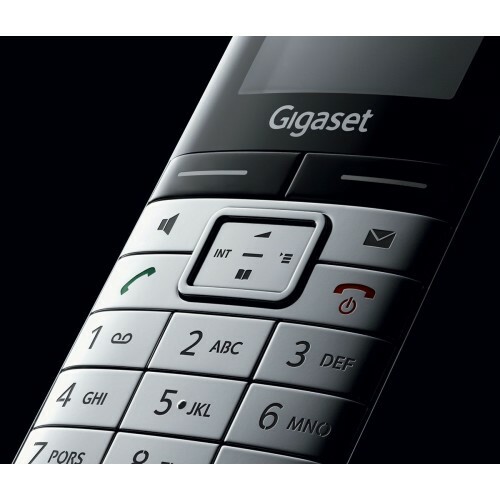 The first thing that you notice about the phones as you unpack them is the weight and build quality, they comprise of a nice chromium plated solid metal frame and a metal keypad similar to the laser cut key pads of the Motorola Razr. 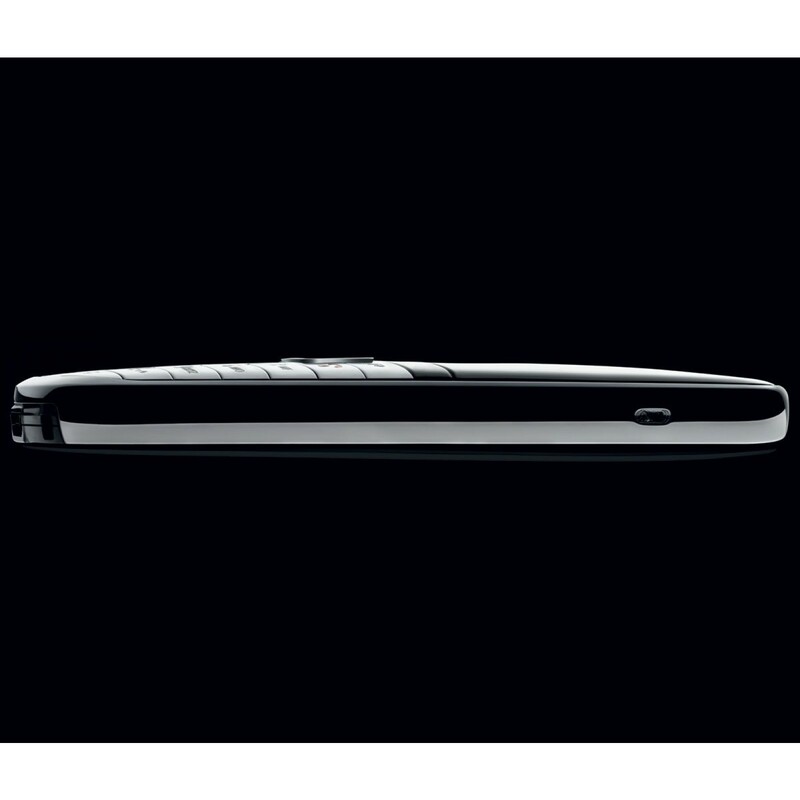 The batteries install easily and are of the flat lithium-ion type you find in mobile phones. Once the batteries are installed and the shiny black back is clipped on you realise that all that chrome and shiny black is going to show up all the fingerprints. Belt clips are supplied as an option if you want to use them and do not really detract from the overall design of the phone. Once the screen bursts into life the display quality is excellent and is as good as or better than some mobile phone displays. 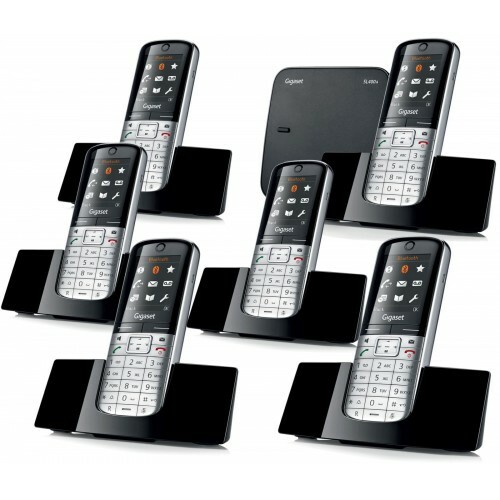 The phone cradles are also well made with a removable power connector that clips into the base. The cradles/charging stations did initially seem rather light but once the handsets are dropped in they appear to be stable and the rubber feet stop them from slipping. The answer phone base unit again was a surprise the size is quite minute compared to some, the unit can be wall mounted and is also supplied with a rather nice clip on back that holds the power connector and telephone cable in place. 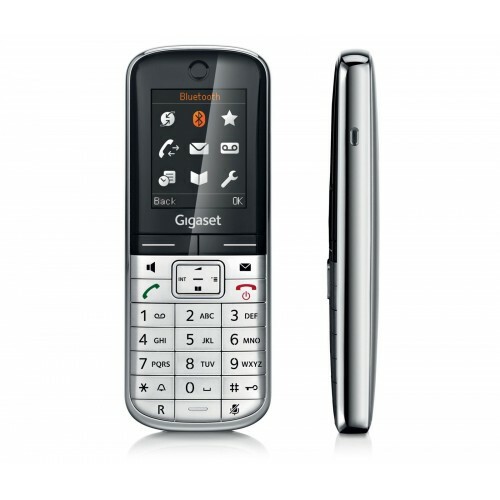 Once plugged in the handsets registered with no problems. Setting up the phones was a doddle, the use of the Bluetooth made it possible to transfer my entire directory from my Sony-Ericsson to the one handset, the directory was then copied to the additional handsets using the copy facility. 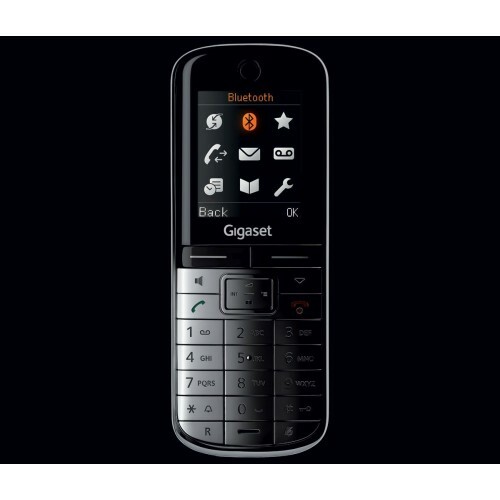 The layout of the menu was simple and similar to that of a mobile phone. It's too soon to comment on the standby battery life as the manual states 230 hours although this will only be achievable after a few charge discharge cycles. 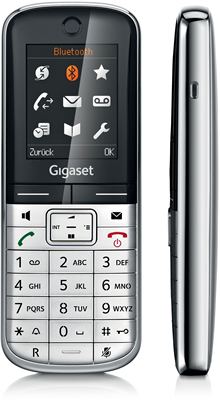 Having only really used the most basic features of the phones and answering machine i am totally impressed and wish i had brought a decent set of Siemens phones instead of all the cheaper models. As these phones come with a two year guarantee Siemens have covered all the bases. 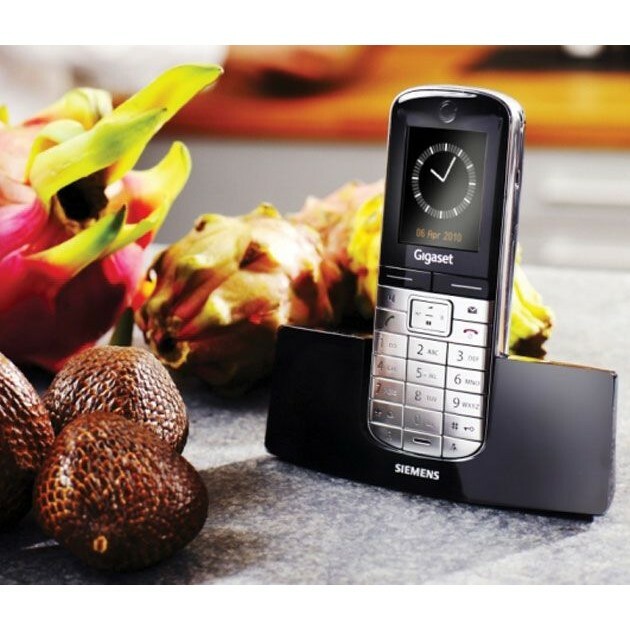 So if anyone is thinking of getting a set of the SL400 phones all i can say is go ahead, i don't think you will be disappointed and in many ways, you get what you pay for. On a final note the service from LiGo was excellent. I have a good eye for design and this is by far and away the best land line phone on the market.